Sandra Zisckind is a lawyer and legal commentator based in Toronto, Ontario. She is the managing partner of personal injury firm, Diamond and Diamond which has a total of seven offices across the province of Ontario. The Diamond and Diamond name is synonymous with personal injury law in the city of Toronto. For over 30 years, the Toronto personal injury lawyers at Diamond and Diamond have been helping injured people and their families. Over the years, Sandra has gained substantial exposure to all areas of litigation practice including conducting discoveries, motions, pre-trials, trials and private mediations. 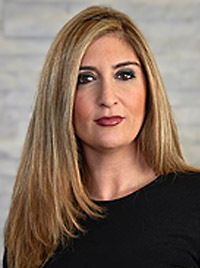 She has attended numerous trials as counsel and recently was successful in prosecuting a chronic pain motor vehicle accident case where the result amounted to three times the defendant’s offer. Her previous work in the area of insurance defense has given her full-fledged knowledge of the complexities of the personal injury field. Sandra has spearheaded several high profile lawsuits which have garnered media attention, namely a $20.5 million lawsuit she filed on behalf of eight victims of a shooting at York University. Sandra has provided media commentary on such cases as the Shafia Trial, Occupy Toronto and The George Zimmerman Trial. She is the go-to general legal expert for CTV, City News, Global, CP24 and Newstalk 1010 (CFRB). Hurt? Contact Diamond and Diamond Today! The Toronto personal injury lawyers at Diamond and Diamond can be reached 24/7 at 1-800-567-HURT or locally, in Toronto/GTA at 416-850-7246. If you have been injured, don’t delay and call or email Sandra Zisckind today for a free, no obligation, consultation. We treat you with respect and compassion and provide you with practical, attentive advice particular to your situation. We can explain how the process works and what you should expect. We can protect your rights – Facilitate your recovery – And secure your future.